Follow your heart. Never the crowd. Home Follow your heart. Never the crowd. You’ve always forged your own path…with your own distinct perspective of looking at the world. Avalon Waterways presents a river cruise experience with your unique style in mind-offering expansive views and wider perspectives. With river cruising’s only Open-Air BalconySM, these wall-to-wall, floor-to-ceiling windows open wider than any other in the industry, blurring the line between outside and in, forming a spacious seating area for six, and creating an open invitation to discover and dream. Even if you’re a seasoned traveler, you’ve never seen Europe like this. *Book a select 2018 Avalon Europe river cruise to qualify for $299/ per person round-trip economy class trans-Atlantic air from ATL, BOS, BWI, CLE, CLT, DFW, DTW, EWR, IAD, IAH, JFK, LAX, MIA, MCO, MSP, ORD, PHL, PIT. 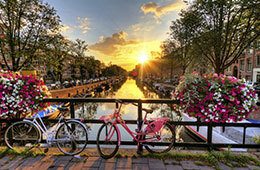 Other gateway cities available from $200 to $1,075/person additional (inclusive of taxes/fees). $299 air will be based on the lowest available priced itinerary at the time of air booking. Alternate schedules may be available at an additional cost. Not combinable with any other promotions or benefits except Journeys Club and $1,250 per person promotion (PRMW0554). Quotes available online or by calling a Travel Professional. Limited to new bookings for US originating travelers and economy class Flex air tickets; must be booked & under land and air deposit between June 7 and August 29, 2017 for travel on select cruise departures in 2018. Pre-assigned seating is limited and may not be available on all desired travel dates. Offer does not apply to instant purchase air or Custom Tours. Individual members of groups can qualify, if booking is made and deposits applied within the promo window. Group air contracts are not available with this promotion. Groups of 10 or more passengers flying from the same US gateway will not be booked on same flights and could lose promotion if requesting to match flights. Once ticketed, air reservations subject to change/cancellation penalties of between $300 per ticket and 100% of ticket value. Changes to air reservations (including itineraries involving $299 round-trip trans-Atlantic air) subject to airfare differentials between originally booked airline fare and re-booked air itinerary. Airline baggage fees may apply; visit www.iflybags.com for details. Air schedules are available approximately 330 days prior to last travel date. Flight schedules, routings and air carriers are at the discretion of Globus family of brands. Pre-assigned seating may not be available on all air segments. Additional restrictions apply; see Travel Terms for details. Air tickets are non-commissionable. Offer may be withdrawn at any time. Prices current as of June 7, 2017 and at time of booking, may be higher. 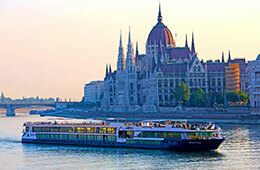 For latest prices visit www.avalonwaterways.com or contact a Travel Professional. Offer available from participating GFOB offices only. CST#2017032-20. † The “from” price is based on the lowest price available to book with the $1,250 per person discount applied for the applicable sailing. Price is per passenger based on double occupancy and does not include airfare. Europe is waiting to be discovered. ©2019 Rodgers Travel, Incorporated. All Rights Reserved.